100% British Organic Linseed Oil (flaxseed oil) in a stylish, easy to pour 250ml glass bottle cold pressed and always sent fresh direct from the farm. Please ensure that you keep your oil sealed and in the fridge to retain freshness. Organic Linseed Oil (flaxseed oil) cold-pressed on our farm. 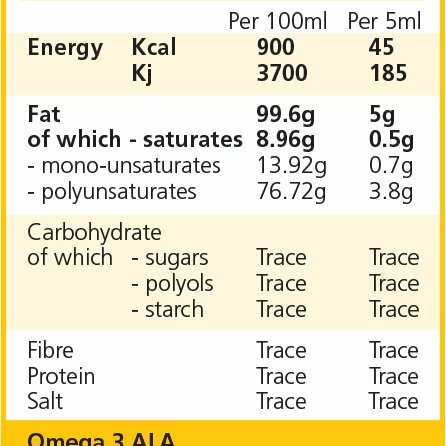 Enjoy the light flavour and the benefits of Omega 3 in your daily diet. 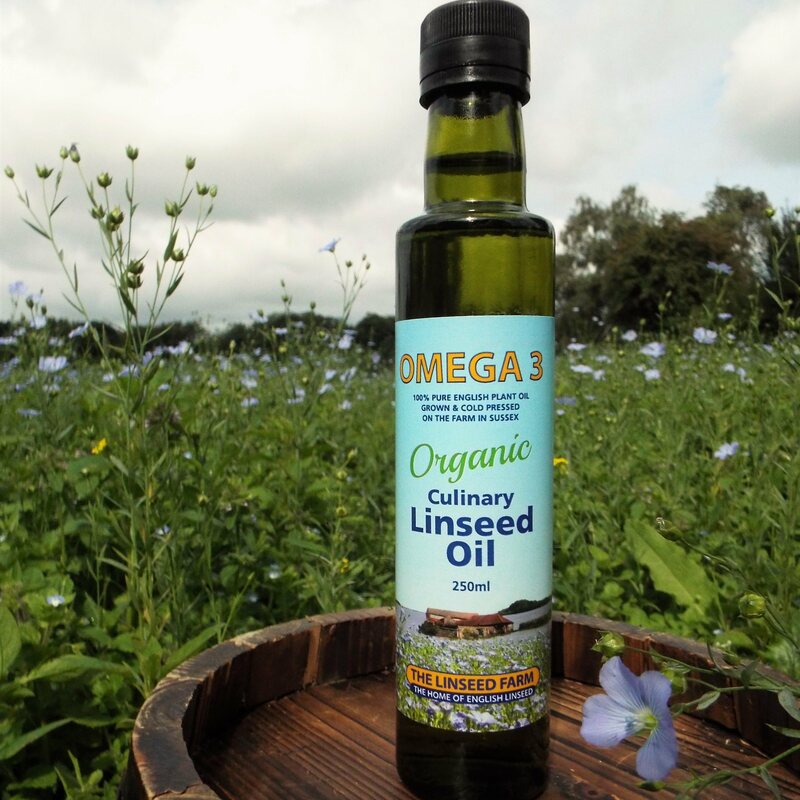 Great as a vinaigrette on salads and everyday food our Linseed Oil has been slow cold pressed straight from the Farm direct to you. This wonderful Cold-pressed Linseed Oil contains the essential fatty acid ALA, more commonly known as Omega 3. A wonderful freshness that is simply one of nature's richest sources of Omega 3. Alpha-linolenic acid (ALA) contributes to the maintenance of normal blood cholesterol levels and the beneficial effect is obtained with a daily intake of 2 g of ALA which equates to a teaspoon of our fresh oil or 4 pods (capsules). Use up to a desert spoonful per person in recipes, or mix with yoghurt or fruit to make smoothies. Also ideal for salad dressings. No roasting or frying though! !Suitable for vegans, vegetarians, men, women, children and the elderly. This product is dispatched by The Linseed Farm. This item has a shipping weight of 594g.